To many, the Borrego Art Institute is a “highly unlikely” element to find in a tiny desert town like Borrego Springs, a place literally in the middle of nowhere, the vast expanse of the Anza-Borrego Desert State Park. But there it is, a gleaming mid-century modern building with beautiful desert gardens right in the heart of the village, distinctive, open and welcoming, full of attention-getting art. Really? Here? It’s hard for many visitors to understand how a small, out-of-the way town could possibly support such an obviously successful art and cultural venue. How could that be? It all started in 2003, with the serendipitous partnership of a visionary Borrego Springs artist, Nita Wipper, and a successful businessman, Dennis Nourse. Dennis, newly retired and settled in Borrego Springs from a successful business and executive career in Wisconsin, brought a wealth of “let’s-get-it-done” talents to a town in need of fresh leadership. Nita, a leader in Borrego’s emerging art community, was a strong advocate for establishing a gallery – a place to hang and sell the work of local artists. Knowing Dennis’ talents and resources, Nita saw an opportunity and presented the idea to him -- and the timing was just right. Dennis was deeply concerned that, due to budget cuts, the school district had been forced to give up art education. Nita’s idea could help establish a venue to provide it to community kids, as well as a place to showcase local art. A year later – with their leadership, a supportive community, and $35,000 in start-up donations – the new Borrego Art Institute opened in a modest space in The Mall on Palm Canyon Drive. A former shop and restaurant, the space was simply and cleanly renovated, nothing fancy. But it offered something so completely new and exciting in the community -- a dedicated space to show, appreciate, and buy art, interact with artists and friends, and take classes and learn. The Board crossed their fingers they would make the monthly rent. 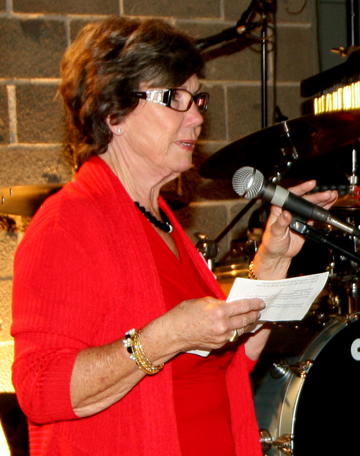 From Day One, it was apparent that the BAI Gallery was an enormous contribution to the community. It brought a unifying and happy “art buzz,” attracting a growing group of artists, students, and patrons. BAI exhibits, hung and managed by a group of skilled volunteers, were creative and inclusive. Opening shows were lively and well-attended, and artists started offering classes and workshops for children and adults. The community happily discovered that there was plenty of demand for art in Borrego Springs, and plenty of accomplished local and area artists to provide it. The BAI's success was a catalyst that coincided with a developing plan for village improvements launched by the Borrego Village Association. 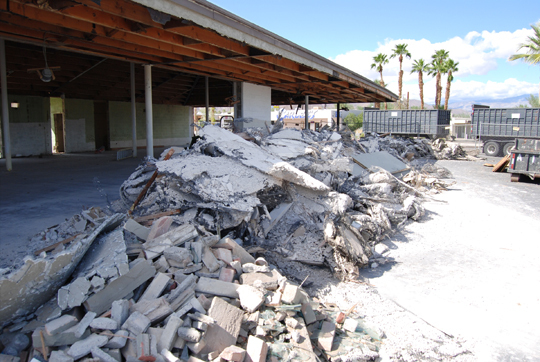 Central to improving the small downtown area was to “do something” about the abandoned Borrego Valley Foods building sitting at a main village entry at Christmas Circle and 665 Palm Canyon Drive. The sorry structure certainly did not make an appealing impression for visitors and was a sad reminder of failed dreams for residents. Designed and built in 1949 by Kesling Modern Structures of La Jolla, California, the building opened as the Borrego Business Building with five retail and office tenants. At the time – the start of the wave of California mid-century design -- William Kesling was at the pinnacle of his career, well-known throughout California for his modern and open structures and his “floating roof” architectures. 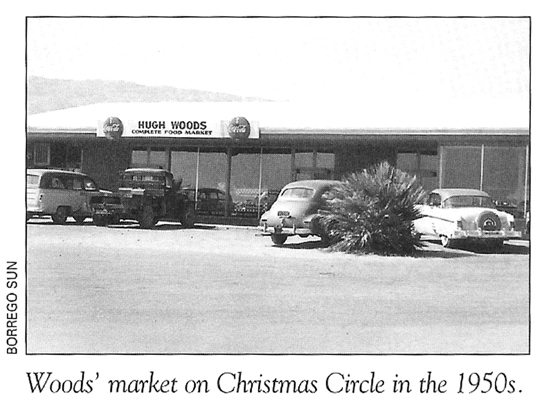 On the cusp of the desert golf-and-leisure boom in 1950, Borrego Springs’ leaders envisioned becoming “another Palm Springs,” and the sleek modern building at Christmas Circle represented the era’s sense of optimistic possibility. 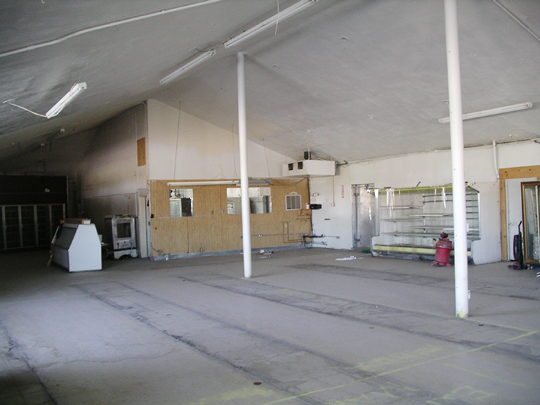 Eventually, the building changed owners and became the Borrego Valley Foods Market. A slow decline in upkeep and care ended when the building closed in 2005. There was a brief flurry of interest from a Los Angeles developer with plans to create an upscale market, but that fizzled. 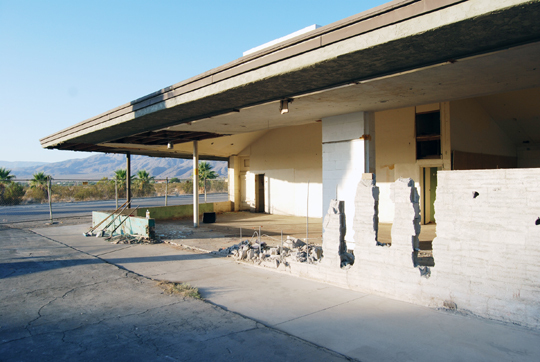 Now, sixty years after its grand opening, the Borrego Business Building was for sale, a sorry spectacle of neglect, an eyesore with a proud history. Fortunately, community leaders and philanthropists Anne and Jim Wermers saw something different in the building -- a unique opportunity to collaborate in a vision to benefit the village, visitors, and residents. Experienced architectural preservationists, they would purchase the building and work with a local non-profit to renovate it and transform it into something special. 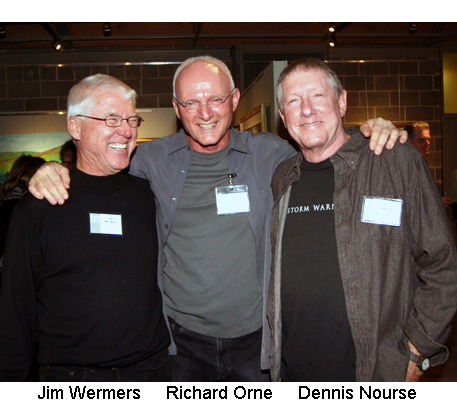 So that’s what they did -- and the Borrego Art Institute was deemed the perfect partner. By August 2011 the dilapidated building belonged to the BAI. 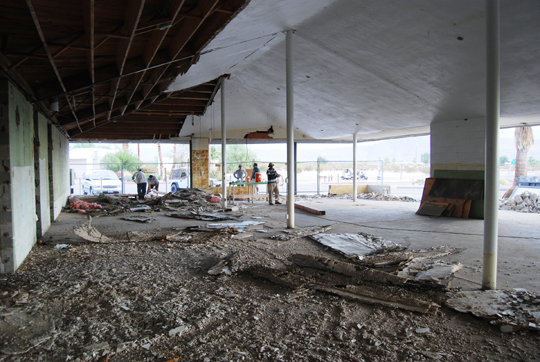 There were 8,000 square feet of mess to clean up, with ambitious plans for a gallery, workshop space, desert landscaping, and a full-service restaurant with patio dining. The plan represented a huge leap for the BAI, but the Board accepted the challenge. Under the watchful eye of noted architect and Borrego Springs resident Richard Orne -- and with thousands of dollars donated by enthusiastic community members -- renovation began in the fall of 2011 with architectural and new construction following Kesling’s original drawings as much as possible. The team succeeded, and brilliantly so. The building is a work of art itself, with expansive glass walls, high ceilings, the latest in display and lighting arrays, and impressive desert landscaping designed and donated by part-time resident Leslie McQuown. On January 19, 2013, 800 people attended the new Borrego Art Institute’s grand opening and were wowed by the artfully re-claimed mid-century landmark. Returning tourists and snowbirds were amazed at the transformation. Nita Wipper, Co-Founder, “We can’t quite believe it ourselves. It was a dream for so long, and now we’re here in this stunning new space. It’s a testament to the power and persuasion of art to inspire us." It didn't take long for the BAI to adapt to the new space and location. There is a busy year-round calendar of openings and shows, starting in October and continuing through April. Even in the slower summer months, the Gallery features "The Summer Show," a mixed media showcase for local and regional artists. A team of more than 30 volunteers hangs shows, runs the desk, and manages building operations. The number of fans is growing, including many enthusiastic visitors from all over the world. 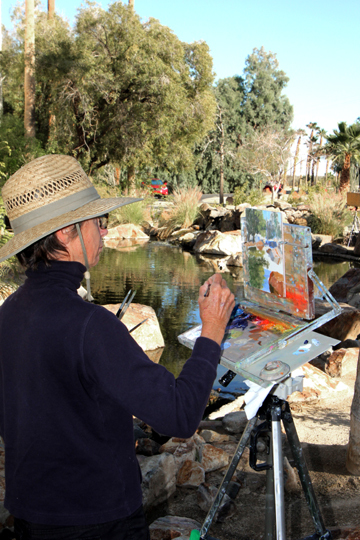 One of the town's season highlights is the annual Borrego Springs Plein Air Invitational every March. This popular event, celebrating its 13th anniversary in 2019, features fifteen noted landscape artists from all over the United States, who paint for a week in the surrounding desert and add fresh works to the display every day. 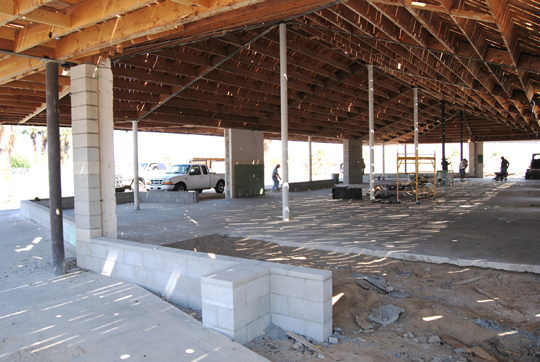 As the Borrego Art Institute continues to realize its vision, teams of busy volunteers are working to create even more new opportunities for artists, visitors, students, and the community with plans for an expanded art, food, and education campus. With a strong commitment to enriching art education in the elementary grades, the KidsArt program puts artists directly in the classroom, planning and managing art-based experiences for 200 students a week, September through May. Master gardeners are planting The ArtFarm, which will demonstrate a creative approach to urban farming in the desert. Soon locally grown fruit, vegetables, herbs, and flowers will provide farm-to-fork delight, a novel experience for desert dwellers and visitors. Much of the produce will be used in the innovative menu for our on-site restaurant, Kesling's Kitchen, featuring wood-fired pizzas, small plate samplers, sandwiches, salads, and desserts, along with a wine and beer bar. 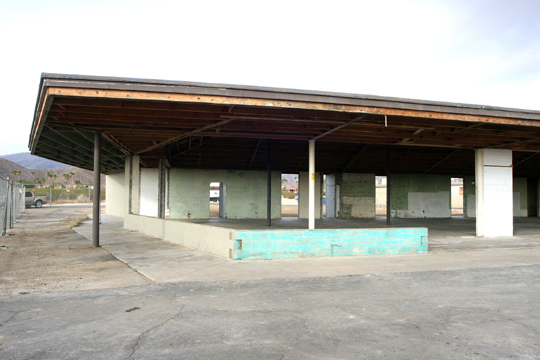 And ceramic, pottery, and glass artists and collectors eagerly await The Pottery, a new workshop and studio space in the planning phases. The campus will also include inviting gathering places for lessons, lectures, demonstrations, and performance art. Local leaders agree that the BAI campus is a huge gift to the village. 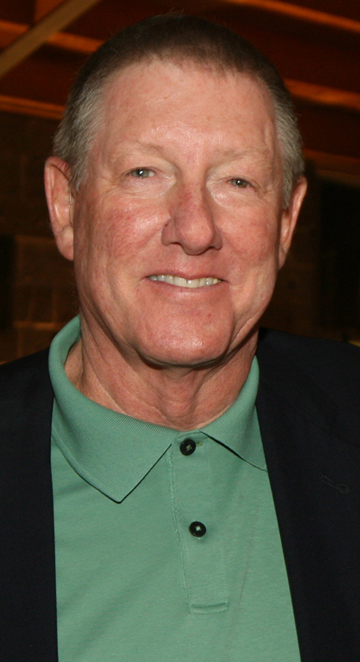 “The Borrego Art Institute makes such a positive statement about our future,” claims Dan Wright, former President of the Borrego Springs Chamber of Commerce. “Visitors have always appreciated our town and the surrounding State Park. But now, they have even more to delight them. We think what the Art Institute has done will spur even more new ventures, and that’s good for everyone.” Indeed, businesses up and down Palm Canyon Drive are busy sprucing up their own facilities and landscaping. The beautification bug is spreading. The best news is that the venture is a local effort, through and through. Donors, architect, construction teams, and volunteers are all full- or part-time residents with authentic and personal passion for the project. There were no tax dollars, government agencies, or outside developers involved.